﻿ RM Pension, Palawan | FROM $18 - SAVE ON AGODA! 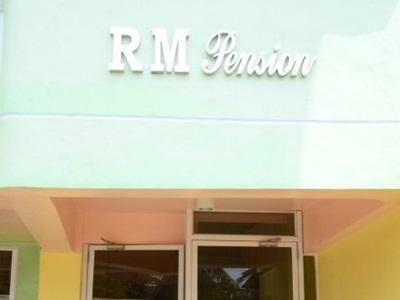 Have a question for RM Pension? Nestled in the heart of Puerto Princesa, RM Pension is an ideal spot from which to discover Palawan. The excitement of the city center is only 1.0 Km away. With its convenient location, the hotel offers easy access to the city's must-see destinations. At RM Pension, the excellent service and superior facilities make for an unforgettable stay. The hotel offers access to a vast array of services, including free Wi-Fi in all rooms, Wi-Fi in public areas, room service, airport transfer, family room. RM Pension is home to 9 bedrooms. All are tastefully furnished and many even provide such comforts as television LCD/plasma screen, internet access – wireless, internet access – wireless (complimentary), non smoking rooms, air conditioning. The hotel offers many unique recreational opportunities such as massage. Superb facilities and an excellent location make the RM Pension the perfect base from which to enjoy your stay in Palawan. I like the food. The room is neat. I wasn't informed about the service from airport to hotel. The room is nice though. Staff are there to assist but on my last day of stay i was not given a service going to the airport.